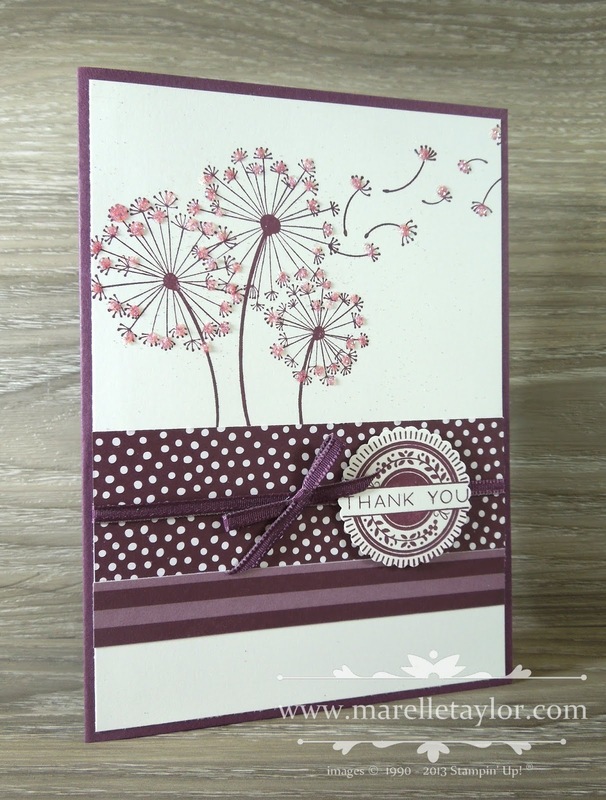 Dandelion Wishes was a must-have set for me from the moment I first saw it in the Annual Catalogue. I've used it to make get well cards, but also birthdays and thank yous. 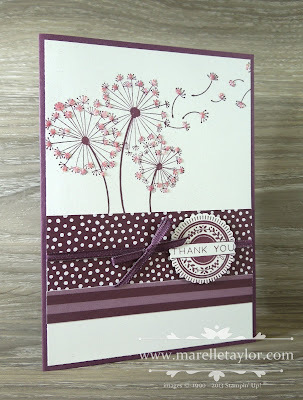 I made this card in several different colours, but this Fresh Fig one was my favourite. I added some sparkle to my dandelions with Fine tip glue and Dazzling Diamonds glitter. I hope you like my card. Thanks for visiting!